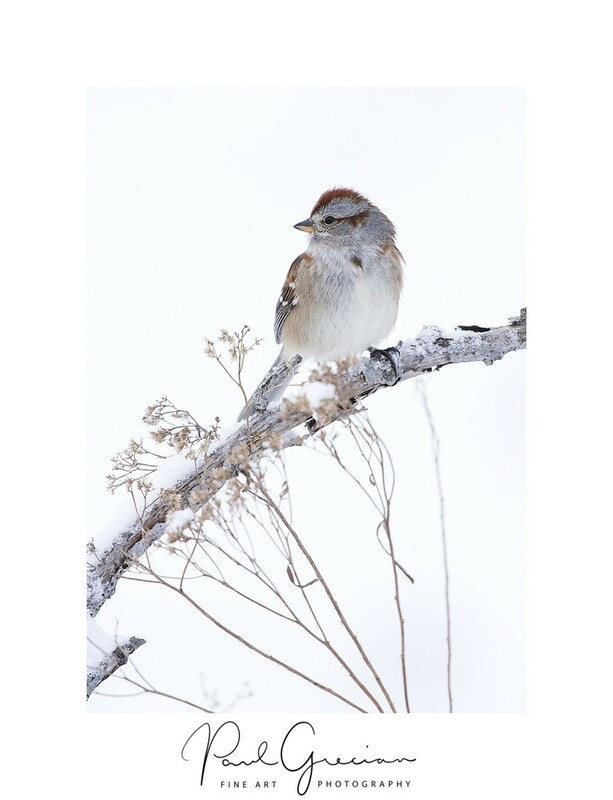 American Tree Sparrow perched on a branch surrounded by snow. Limited Edition Giclee print. Limited to 100 total prints.